The Blessed Light Campaign’s commitment to ensuring the quality of residence halls is a strategic investment in student recruitment, retention, satisfaction, and success. Because we understand that classrooms and libraries are not the only spaces where students learn and study, we are committed to providing our students with residential facilities that function as all-inclusive homes-away-from-home conducive to social interaction, community building, and group study. Based on surveys of our own students and study of national recruitment and retention research, we believe that making key improvements to residence halls will position the College for growth in student recruitment and further support our students in reaching their full academic and personal potential. Why Invest in Residence Halls? Expectations of prospective students and their families for safe, on-campus housing that serves this all-inclusive living/learning experience make residence hall quality a vital factor in enrollment of new students, particularly female students. An Association of Higher Education Facilities Officers (APPA) study indicates that female college students believe residence halls are the single most important facilities to see during a campus visit and that the conditions of residence halls have a significant effect on female students’ enrollment decisions. Living in residence halls has been shown to have a number of positive effects on students, including better academic performance, increased interpersonal skills and self-esteem, more frequent interaction with faculty and staff members, a closer perceived bond with peers and the institution, and greater satisfaction with the college experience as a whole. Residence hall living has also been shown to have positive effects specific to female students. Female students who live in residence halls are more likely to believe that women are self-sufficient and capable of entering traditionally male-dominated professions than female students who live off campus. Residential living has also been shown to contribute positively to female students’ critical thinking skills. Studies indicate that living on campus has a greater positive effect on women’s self-perceived leadership abilities than the effect seen in their male counterparts who live on campus. Two of Judson’s three residence halls have been identified for updating with Blessed Light gifts. 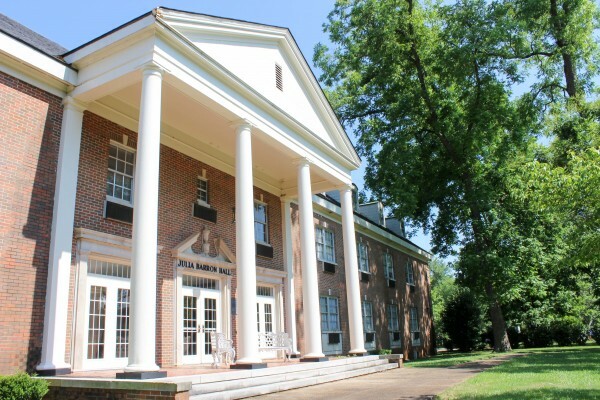 Julia Tarrant Barron Hall, constructed in 1962, houses 100 transfer, upperclassman, and freshman students. Named for a principal founder of the College who gave much of the land on which the campus is located, Barron Hall’s improvements will include refurbishment of student suites, plumbing and electrical upgrades, and renovation of common areas. Anne E. Kirtley Hall, constructed in 1969, is the Freshman dormitory space, which houses 84 students. Anne Kirtley, the hall’s namesake, was a beloved English professor of the College from 1898-1933. 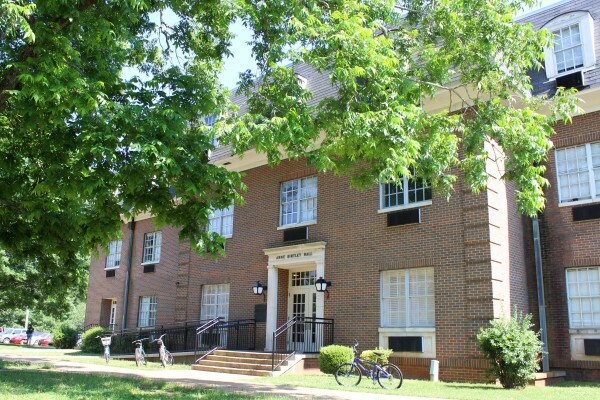 The Kirtley Hall renovation, begun in the summer of 2015, consists of improvements to common areas and student suites including HVAC upgrades, floor, ceiling, and lighting updates, and bathroom vanity area updates.